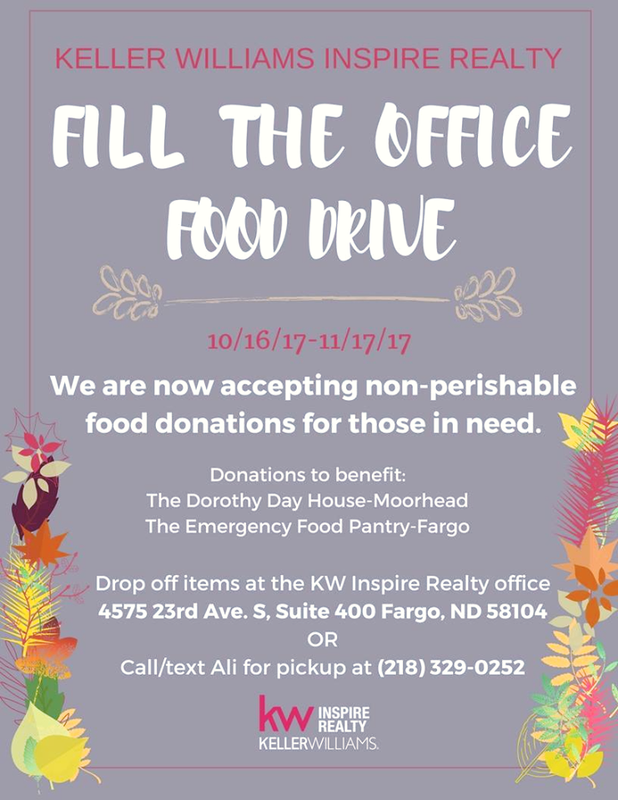 We have 10 days left for our Fill the Office Food Drive! Thank you to all of those who have donated their non-perishables so far!! We still need your help! Do you know someone that has extra cans in their cupboards? IS IT YOU?!? Please consider donating to the cause! They can be dropped off or I can swing by to pick them up as well!